IPS has published a new white paper, Turning Accounts Payable into an All-Digital Process. It details how organizations can automate the labor-intensive, costly and error-prone process of managing accounts payable without the need for high-cost, high-risk information systems investment. 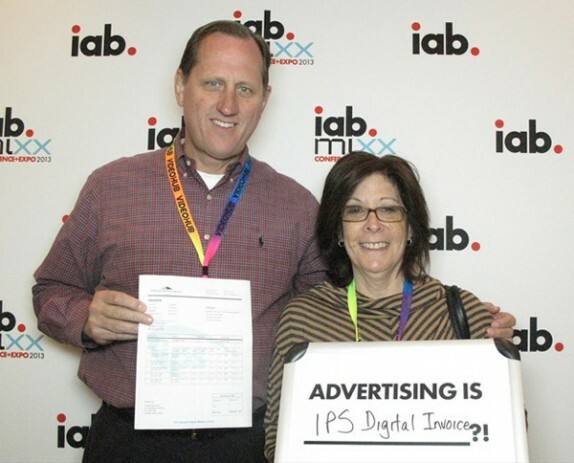 Interactive advertising is the fastest-growing part of the business but its success has created challenges for agencies in processing invoices and making payments. Online publishers and service providers format their invoices differently and charge in different ways for different advertising exposure, from views to clicks. As a leading advocate for a new interactive standard, IPS has introduced the IPS Digital Invoice, which is designed to minimize the exceptions that require manual processing in what should be a streamlined, automated process. IPS executives will attend the IOFM Accounts Payable Conference & Expo, October 21 to 24 in Las Vegas. Would you like to schedule a meeting or join our Roundtable Dinner? IPS is pleased to announce the addition of Wells Shammout, Director of Information Technology. Wells joins IPS with more than 25 years experience.